Just a few days ago, news broke that Lionsgate will be forgoing a theatrical release for its final Divergent movie, The Divergent Series: Ascendant, which was previously set for release on June 9, 2017. Instead, the studio will release this franchise finale as a television movie at an undetermined date, which will then segue into a new spinoff TV series. Lionsgate has yet to confirm this news, but while promoting Snowden at Comic-Con 2016, franchise star Shailene Woodley spoke out about the news for the first time. Deadline caught up with Shailene Woodley at Comic-Con, where she revealed that she was on a plane when the news broke about the franchise finale moving from the big screen to the small screen. Pre-production is currently under way, but it isn't known how this change will affect the production schedule. Here's what Shailene Woodley had to say, when asked about the news that Ascendant would become a TV movie. "Honestly, I was on a plane when all that happened and I landed, and I'm like 'Whoa, what's going on?! I need to talk and find out what the details are." Back in March, we reported that the Lionsgate had the budget slashed for The Divergent Series: Ascendant, following the box office failure of the third installment, The Divergent Series: Allegiant. The movie earned just $66.1 million domestically, although it fared slightly better internationally with $113.1 million for a worldwide total of $179.2 million. The franchise launched in 2014 with Divergent, which took in $150.9 million domestically and $137.9 million internationally for a worldwide total of $288.8 million, from an $85 million budget. Last year's follow-up The Divergent Series: Insurgent faltered a bit domestically with $130.1 million, but finished slightly ahead of its predecessor with $297.2 million worldwide, from a $110 million budget. Lee Toland Krieger came aboard to direct back in February, replacing Insurgent and Allegiant director Robert Schwentke, just before it was revealed that Lionsgate slashed the budget. It isn't known if he will remain on board now that this theatrical finale is becoming a TV movie, but hopefully we'll have new updates soon. 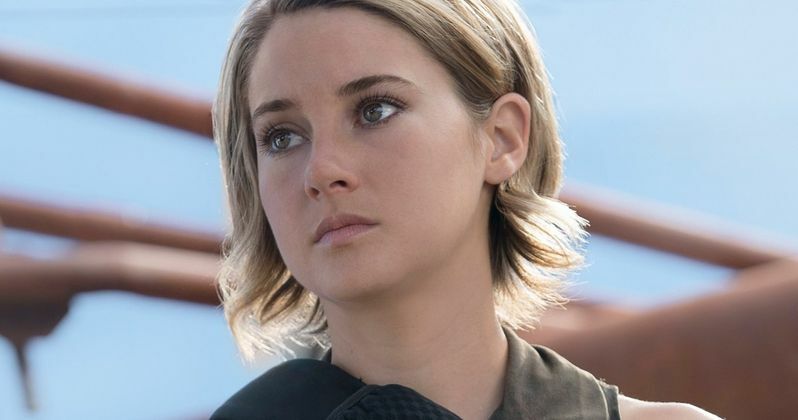 Shailene Woodley will star alongside Theo James, Naomi Watts and Jeff Daniels in this finale. Lionsgate has yet to confirm this news about the TV movie transition and its release date, but it's possible that this could bring an end to the fairly recent trend of splitting up the final book adaptation of a franchise. Warner Bros. was the first to start this trend by splitting up the massive novel Harry Potter and the Deathly Hallows into two movies. Several studios followed suit, with Lionsgate splitting their finales for Twilight and The Hunger Games into two movies, which wasn't received terribly well by fans and critics.